Feb 24, 2016 (LBO) – Sri Lanka is currently at the formulating stage of an “Economic Technology Cooperation Agreement” with India, Prime Minister Ranil Wickremesinghe said in Parliament Tuesday. This agreement will not lead to Sri Lankans losing jobs, he added. “We still haven’t seen India’s version. 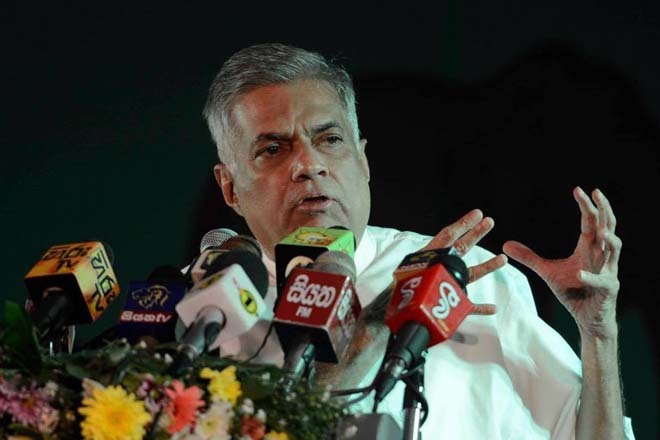 We have to put the two proposals together before we can come to an agreement,” Wickremesinghe said. Professional associations raised concerns about the flow of professionals between the two countries, but Wickremesinghe said there was no reason to fear an impact on employment. The government will not consider Mode 4 of the WTO General Agreement on Trade in Services (GATS) which allows professionals to provide a service in another country, he said. Instead, the ETCA agreement will seek to boost cooperation in technical areas, scientific expertise and research amongst institutions, boost standards of goods and services able to compete on the global market and improve opportunities for manpower training and human resource development, Wickremesinghe said. “Without an improvement in training we may experience shortages in the future,” he added. After recent meetings with India’s Prime Minister Narendra Modi, the ETCA agreement has been scheduled for mid this year. Around 65 percent of Sri Lanka’s exports to India falls under the Free Trade Agreement, but just 25-30 percent of goods from India fall under the FTA, he said. Sri Lanka also experiences non-tariff barriers when exporting to India, Wickremesinghe said. The government plans to improve access for Sri Lankan goods to India under this agreement, he said. 70 percent of transshipment and 40 percent of revenue from flights are linked to India, and the government aims to boost these services areas. Safeguards to facilitate investment will also be included, he said. The previous government wanted to implement CEPA, but they opposed it due to a provision on movement of professionals, Wickremesinghe added.